The stand-out names in these three classes include Simon Cohen and Dayo Audi, neither of whom was good enough to beat the overall winner, Eamen McCauley. Ernie Taylor (future IFBB Pro) could only get 2nd in the Medium Tall Class. Open Classes 1, 2 and 3 PLUS OVERALL POSE-DOWN AND AWARDS. The stand-out names in these three classes include Simon Cohen and Dayo Audi, neither of whom was good enough to beat the overall winner, Eamen McCauley. 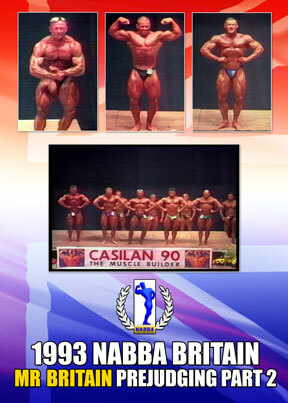 Simon Cohen won his class at the 1999 NABBA Universe and Dayo Audi took out the NABBA Mr. World in 1997. Ernie Taylor (future IFBB Pro) could only get 2nd in the Medium Tall Class.